Over the past month, summer has bled into what I would describe as late fall. I say ‘what I would describe as’ because an English man I spoke to last week remarked conversationally that we’d been having a “rather mild winter lately.” When snow is rare, I suppose browning leaves, chilly weather, and occasional rain are indicative of winter. The last time I posted was on October 22, writing about events which were then several weeks old. Since that time, much has happened in Oxford. And while I will be composing a series of longer posts covering specific outing and themes, I realised that much of what I’ve done ought to be collected in a post of miscellany. 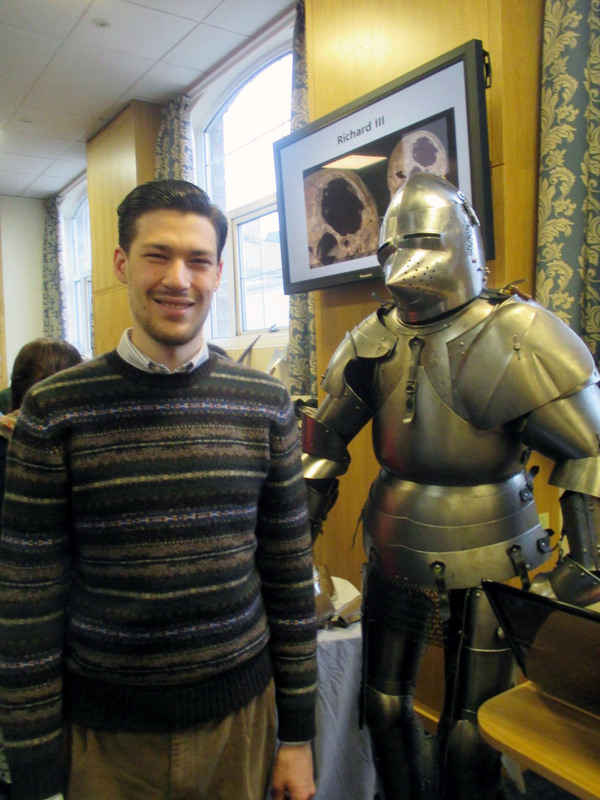 On October 14th, CMRS hosted a lecture from Magnus Sigurdsson Hardradi, an armourer and swordsmith who lives in France and visits Oxford occasionally. Hardradi is an intriguing person. In researching this post, I came across a number of reports indicating he has engaged in dishonest business practices and misrepresentations of his work; while I have no way of knowing whether these claims are true, it seems responsible to report their existence. Either way, Hardradi has lectured at the Centre for a number of years and on the Tuesday of his lecture, brought with him a plethora of medieval weaponry and armour. The lecture was an extended analysis of the development of (mostly) English arms and amour from the conquest period (1066 and immediately before) through the fifteenth century. Highlights included slides of skulls featuring square holes — the results of impalement with crows-beak hammer — and a look at Richard III’s newly-discovered skeleton. Although I’d prefer not to fight at all, I would much rather participate in a modern war than a medieval one. Apparently, archaeologists have found skeletons in medieval mass graves on battle sites which have been cleaved in half — in one case from the left shoulder to the right pelvis — in one stroke. So powerful were the blows of a mounted knight’s sword that leg bones shows tell-tale evidence that a single stroke could cut through a wooden shield, the leg’s leather plate armour and the underlying chain mail before slicing completely through flesh and bone to sever the appendage. Quite gristly. 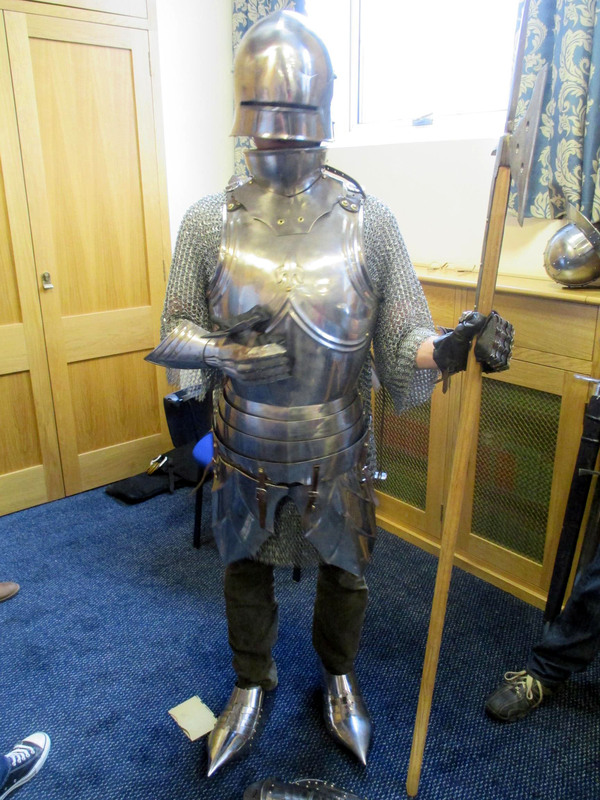 After the lecture, a handful of the students decided to dress the ever-patient Dave in as much armour as he could hold. Laundry day is quite a production at CMRS. The Centre features two pairs of washers and dryers, each requiring £1.40 to operate. As such, the twenty pence pieces are quite valued commodities. What better way to make the waiting pass quicker than to dress Bekah up as a 1990s model using one of my polos? One evening towards the end of October, I happened to look up from my studying and noticed that the sky was glowing orange with the sunset. Grabbing my camera, I hurried outside for pictures. Oxford’s city centre is too closed to afford a good view of the sky, so I walked towards Hythe Bridge Street, and area a few block to the northwest of the Centre which is more open. Sadly, by the time I arrived, the brilliance had abated. Those first shots from New Inn Hall street, looking west across St. Peter’s College will have to suffice. Thursdays end my week here in Oxford. With one tutorial and my seminar on Wednesday, my essay due and a lecture Thursday morning, and my final tutorial Thursday afternoon, it’s difficult (impossible, really) to follow the work week through til Friday. 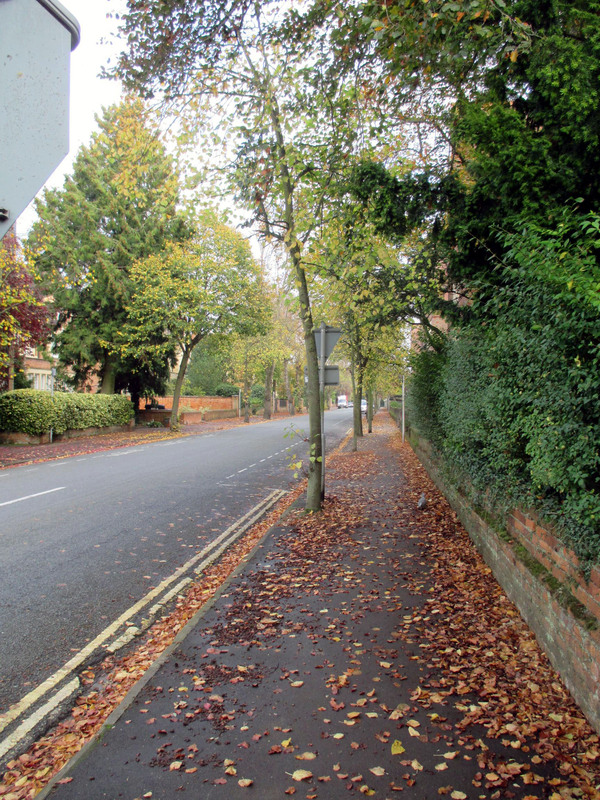 On October 30th, having finished my Thursday morning assignments and having a few hours before my tutorial at 4.00pm, I decided to take a walk north along the Woodstock road. Woodstock is the left hand fork of Oxford’s main north-south drag, St. Aldates/Cornmarket/St. Giles (street names change almost every block here). At the far end of my walk, I decided to snoop around St. Hugh’s College, the institution of one of my tutors. 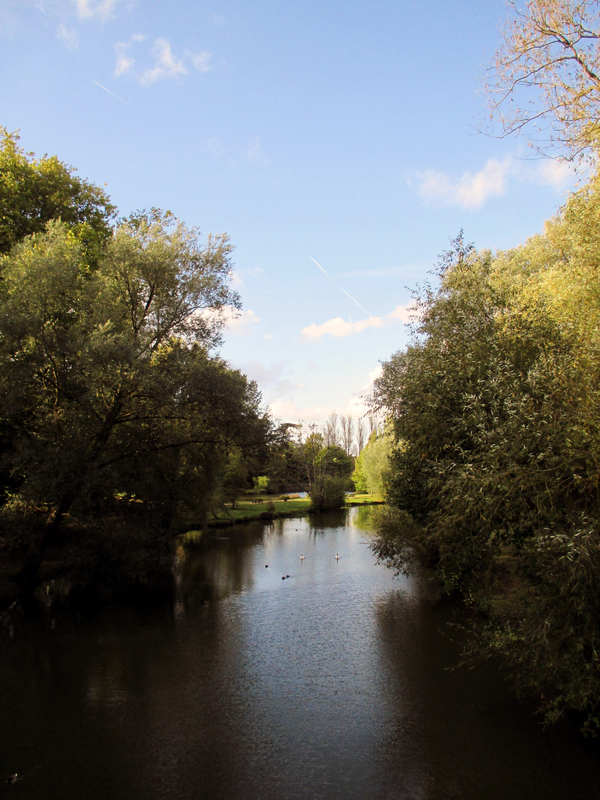 Founded in 1886 as a women’s college, St. Hugh’s has a reputation for being among Oxford’s most beautiful on account of its expansive gardens. I enjoyed the place, but I can think in a moment of a half dozen colleges which I consider more beautiful than St. Hugh’s. 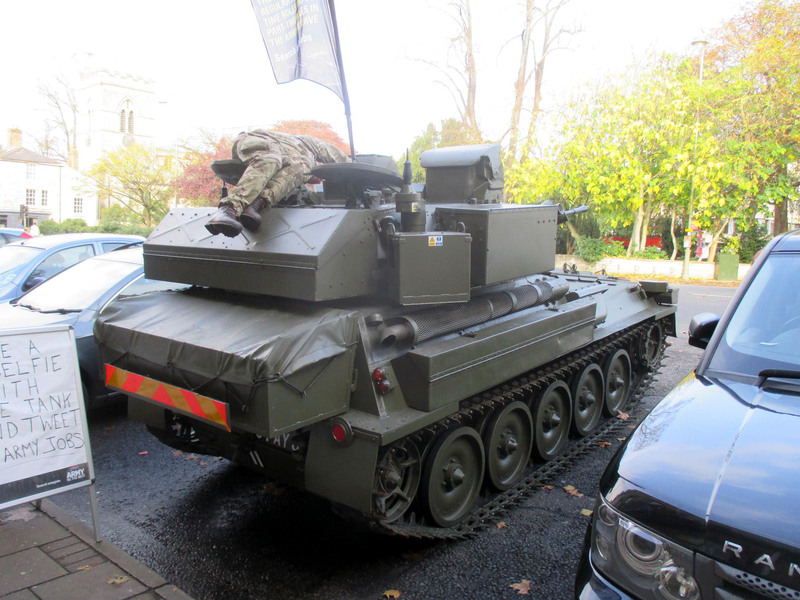 On the way back, I noticed that the army recruiting centre on St. Giles had a tank parked in front, presumably to generate interest. Although I’m not in the least interested in renouncing my citizenship to join her majesty’s armed forces, I did stop to take a photo.